On the same day that the Health Minister unceremoniously fired the Alberta Health Services board for refusing to revoke $3.2 million in bonuses, the Energy Minister announced the appointment of the Alberta Energy Board. This begs the question: what are their ends? Serving the public interest? Serving corporate interests under the guise of serving public interests? Staying in power at all costs? Machiavelli would argue it’s the latter. And his little book The Prince provides a how-to manual on how to succeed. The PC government might not have The Prince at its bedside table but the creation of the Alberta Energy Board under the new Responsible Energy Development Act indicates that it’s somewhere close at hand. 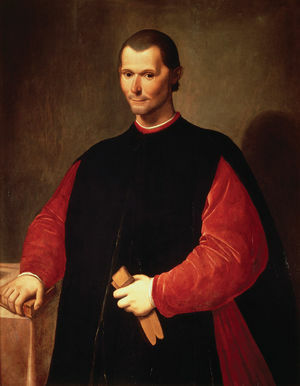 Now here’s the Machiavellian bit. The government used REDA to erase the Regulator’s independence. This was achieved with three clever statutory changes. If the Regulator refuses to comply, its Commissioners will be fired à la the Health Minister’s recent firing of the AHS board (who incidentally were not under a statutory obligation to comply—a convenient example of what happens when you cross your Minister). What’s next? A corporate-style board to oversee the activities of the Court of Queen’s Bench? Three: By replacing the Energy Resources Conservation Act with the new and improved REDA, the government vapourized Albertans’ ability to challenge industry applications on the grounds that they’re not in the “public interest” (fancy that). Public interest has become a matter of policy to be decided behind closed doors by the Minister of Energy and industry representatives. If they decide it’s in the public interest to exploit Alberta’s natural resources at breakneck speed, so be it. The Minister will pass this policy on to the Regulator as a directive and the Regulator must comply. Forgive me for being uneasy about this. It’s just that the Energy Minister does not have my phone number on speed dial and won’t get my input. The government website proclaims that “Under the Responsible Energy Development Act, the new regulator will operate at arm’s length from the Government of Alberta, under the direction of an appointed board of directors and chief executive officer.” And who might that be? To be fair Mr Ellis’ comments indicate he sees a need to balance the interests of the industry with the government’s responsibility to protect the environment. One can only hope that his concern for the environment isn’t eclipsed by Ministerial directives to the contrary. …then my mind drifted back to Machiavelli’s The Prince (you knew I’d get back there eventually). In Machiavellian terms Albertans live in a “hereditary principality”—the Prince’s family has ruled the population for over 40 years. Hereditary principalities are very stable provided the Prince doesn’t neglect long established institutions or fail to adapt his policies to major events. By enacting REDA the government shredded the checks and balances necessary to ensure that Alberta’s resources are developed with an eye to the public interest. Machiavelli would call this a “neglect of a long established institution”. Furthermore the ferocious protests over oilsands development demonstrate an increased desire for environmentally sustainable resource development. Machiavelli would characterize this as a “major event” and would point out that appointing an industry insider to chair a corporate-style board that oversees a quasi-judicial regulator, creates less transparency not more, and is a “failure to adapt”. If Machiavellian principles hold, the PCs are looking down the gun barrel of regime change. The next election will usher in a new prince who will (hopefully) review the lessons of the past and recognize that Albertans will no longer tolerate the “corporatization” of their government. Let’s face it; it may be career suicide to cross a Minister, but it’s political suicide to cross Machiavelli. ****Thanks to Jill Browne for pointing this out. This entry was posted in Energy & Natural Resources, Politics and Government, Uncategorized and tagged Alberta Energy Board, Gerry Protti, Jim Ellis, Machiavelli, Responsible Energy Development Act, The Prince. Bookmark the permalink. Thanks, Susan. Interesting as always. I don’t like to think of my provincial government in Machiavellian terms and I hope instead that the new governance model will bring out the best in all the participants. Does the new structure make things better? I remain to be convinced. I wonder if the system of appointing, compensating, and assigning commissioners to cases will change now. Separately, I also wonder why we need a corporate style board to sit as a layer between government and government staff. I should do some homework and see what the benefits are. Jill I too don’t understand the attraction of “corporate-style” boards, or anything else “corporate” for that matter, when it comes to the public sector. There was a time when serving in the (supposedly neutral) public sector was a noble calling. But over time, the public sector became a mash-up (to use a term favoured by the very young) of nongovernmental agencies embedded within governmental agencies. Donald Savoie notes that market forces and a firm’s competitiveness determine success in the private sector, but these forces don’t come into play in the public sector where the success of government officials is determined on an entirely different basis. Nevertheless our government continues on the path to increased “corporatization”. Oh and I picked the Machiavellian theme of ruthlessness after a number of conversations with legislative insiders who pointed out that not only are certain PC politicians “ruthless”, the party itself is “ruthless” and will become even more so in an effort to stave off a Wildrose rout. It’s going to be a bumpy three years! I am opting out on this one Susan, my blood pressure can not go any higher. I’ll see how they handle restoring power to down town Calgary and then I shall get into a more investigative mode to check out this structuring. I fully understand Tom. It’s getting harder and harder not to sound like a raving lunatic about these types of changes, but it all boils down to one question–is this restructuring in the public interest and if so why? As you can tell from my post, I’m not convinced. What impact will these changes have on the ongoing fracking court case vs. Encana and the ERCB? Welcome to the Soapbox, S. Weir. The creation of the Alberta Energy Board should have no impact on the Encana case because it’s under the jurisdiction of the Court, not the regulator, however you raise a very important point—how is the Alberta Energy Board going to address conflicts of interest. Take Mr Protti for example. No doubt he’s developed strong relationships with industry players as a result of his interaction with them through the Energy Policy Institute, CAPP and Encana. As such he’ll have to be very careful not to influence the Regulator’s decisions with respect to applications brought by his former employer or other companies on whose behalf he engaged in lobbying efforts. The Alberta Energy Board should create a clear Board mandate which outlines the roles and responsibilities of its members and spells out what a conflict of interest looks like and what the directors must do about it when they encounter one. You may recall that the AHS Board posted its mandates and governance documents as well as the employment contract for its CEO on line. It will be interesting to see if the Alberta Energy Board does the same. This is just another step on the dictatorship by stealth. Governments try with the best Machiavellis available to serve their corporate/elite masters in a way that the blind public cannot even understand what is going on. This has slowly been going on for years and it is gaining speed. Unfortunately this is not just a PC trait, this is now Liberal policy as well, so the possibility of changing this process within the existing pseudo-democratic process is frankly impossible. The corporate style boards are nothing but patronage positions for their supporters and a chance for some out of this world perks and possibility of a great bonus at the end. We all know this schema very well except Albertans for some reason think these people do a great job because they keep voting them in. The sellout of our resources will continue no matter what until something very drastic happens. On this I have no doubts. With the possibility that Danielle Smith will be the next election choice this process will just accelerate even more. She now talks about the public interest and the public Health Care System but that is just the way she knows she will get in. We all know that the Wild Rose will privatize even their kids names to serve their corporate gods. Does anyone really believe that Danielle Smith will support the public Health Care System? Carlos, you hit the nail on the head…why do Albertans continue to vote for this government? Many of us are very concerned about the devolution of government power to government appointed boards that are not accountable to the public at all. And yet, this government continues to ram-rod this quasi-governmental structure through the legislative review process. All of the opposition parties challenged this structure but were unable to stop it because of the PC majority. The media tried to publicize the issues, but it didn’t register with the public. If the public continues to be disengaged we’ll never be rid of the PCs or this opaque model of government! I also really appreciated your footwork related to the various legislated functions of the AER (administration, regulation, adjudication) Jill. From Canadians’ past experience with many different tribunals, delegated administration authorities, etc., it appears just how many of these different functions reside in one body matters, a point argued by many in Alberta during the debate over Bill 46 and its proposals in relation to restructuring utility board/ AUC back in 2006. For me, the bigger elephants in the room are the way so many former government responsibilities have been devolved to independent-from-the-public authorities and non-transparent industry councils over the past fifteen years and the current obsession with disruptive change as a model of governing. I’ve found Donald Savoie’s books helpful in understanding some of these things – and am told he has new one out called Whatever happened to the music teacher? Where I have come down to in my own thinking over the years is that, regardless of other factors, it is important in any society to have enough countervailing organizations, institutions, legal resources for citizens and mechanisms to research, lead public discussion /debate, and represent the often differing consumer/citizen interests in order to manage the constant change wrought by everything from technologies to marketed ideologies. Examples include institutions such as a well-funded public broadcaster and some of the old policy councils we used to have before they were replaced with the likes of the Conference Board of Canada (composed of the CEOs of the top North American companies) that wrote the AHS governance report. Of course, many of these have been gutted over the past two decades. In closing I thought everyone might enjoy this excerpt from the Huff Post (February 2013) I ran across today. It gives some clues as to why we poor mortals get so confused over whether the government wants to be a team manager/owner or a cheerleader in the bleachers. . .
Great comments Wendy. The Huff Post article was priceless. Redford describes the Social Policy Framework as the result of extensive consultation with 31,000 Albertans last year (I missed the opportunity to give meaningful feedback unless she’s included my comments in the rather insipid on-line survey). She says her government will “dictate less and focus more on harnessing the energy of agencies to deliver social programs.” This sounds like the off-loading of government responsibility on to non-governmental agencies. (Rachel Notley’s point). This government’s increased reliance on the not-for-profit sector to deliver basic social services is not only unsustainable, it’s undemocratic. So as a friend of mine said over lunch one day “What are we going to do about it?” I think it’s time to round up the troops and plan the revolution. Don’t you? Thanks for this.Regulatory capture is a pretty recent addition to my vocabulary. Since I discovered that there’s a name for what I’ve been witnessing, I have done some reading on”deep capture” which may partially explain the public’s apparent(?) ignorance of this pattern of “dictatorship by stealth.” The media should be all over this and I can only conclude that the deafening silence is deliberate and symptom of the corporatization./deep capture. It’s 2 1/2 months since you wrote this and the pattern is becoming more clear by the day. Revolution sounds pretty reasonable to me. It would be a good time to start one now as Ms, Smith and Ms. Redford are busy showing us just how far right we can go before we fall off their (flat) earth. They might not notice? Mary, how timely. Yesterday’s Herald carried an article in which Gerry Protti, chairman of the Alberta Energy Regulator and long time industry insider, talks about the failure of Canadian Natural Resources Ltd to stop bitumen seepage at its oilsands project in Cold Lake. 1.5 million litres have been recovered (who knows how much has been spilled) and clean up is still ongoing. Protti’s comment was that the spill had significantly affected the company’s finances. “We’re (who? the AER and the company?) working extremely hard to come up with the cause of the issue and resolution around it. But when you’re taking 40,000 plus barrels of production out of their cash flow, that has a direct impact”. The Chairman of the AER should be very worried about a company that’s had six bitumen leaks in the last few months because he’s concerned about the environment, the wildlife, the First Nations populations in the area and all Albertans, NOT because this will negatively impact CNRL’s bottom line. Time to pass out the black berets and bring on the revolution (in our quietly understated Canadian way)!! !